Jim Chanos is on CNBC, and of course a lot of it is centering around his well-known dislike of the Chinese property market.But there is one area of China that he’s long, and that’s the US casinos making bank in Macau. First of all, the top-line growth is great, but wryly it’s also a bet on Chinese corruption: The idea is that the big casinos are actually stealth money-funelling operations, allowing folks to easily convert RMB into Hong Kong dollars. He says he’s long these casinos as a pair trade, basically, against his property shorts. 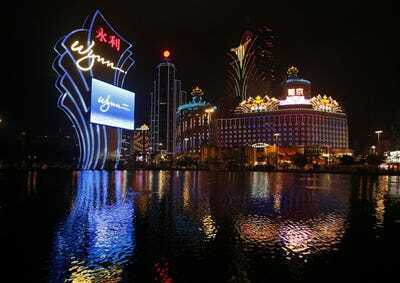 Some of the names there include Wynn and Las Vegas sands.